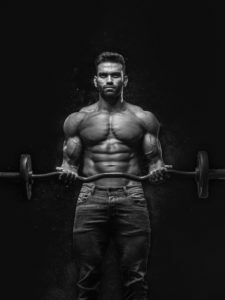 A very popular muscle group that is often a favourite to train, however, it is common for exercises to be similar and it can be difficult to figure out how to properly train this muscle group. In this article, I will be giving you my top 3 bicep exercises with the information you need to understand why I chose them, their benefits and how you can implement them within your training. 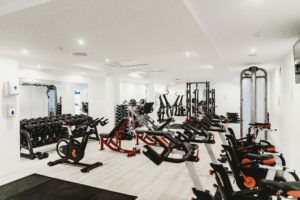 Let’s talk about exercise number one! Starting our list off, we have the standing barbell/EZ bar curl, an original yet very effective exercise at targeting the biceps. 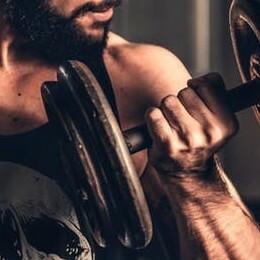 Although you can’t really train biceps with compound movements, the barbell curl is one that is able to be trained heavy relative to the exercise. This allows for a relatively easy application of progressive overload, which is very important. It also allows for different ways of performing the movement that have some extra benefits. Having an exercise that is easy to apply progressive overload to, especially for exercises that are limited/don’t have compound options is crucial. It is a key driver in muscle growth, so the barbell curl fits this role perfectly. Seeing as it can be trained this way, it will typically be performed heavy, therefore we will generally be doing this movement at the beginning of our workouts. It’s also a great exercise to perform different training techniques with. These can include slow eccentrics as a method of muscle damage, or “cheat” curls to help overload the muscle. Let’s talk about how we can implement the barbell curl into our routines. We know that this is an exercise that is beneficial to be trained heavy and lay the foundation of our routine. We would perform this exercise as our primary movement for biceps, relatively heavy in the 8-10 rep range. Consider throwing in some slow eccentrics toward the end of your set, or utilize a “cheat” curl method occasionally. You can go lower in reps in the 4-6 rep range, however, I find this doesn’t allow me to get in a whole lot of volume or really fatigue my biceps. We typically don’t train the biceps for strength, so our training would be more so focused towards hypertrophy. This is an exercise that I learned from Alberto Nunez, when I tried it, I really, really liked it. The idea behind this exercise is you stand away from the cable tower, grab the handle and your shoulder flexes which fully stretches your bicep. Bringing the cable forward you then have constant tension on your bicep throughout the range of motion and a full resisted contraction occurs when you reach the end position. This is an exercise that really lights your biceps up. This exercise is performed unilaterally, so although it’s not the best exercise to be trained heavy for progressive overload, it still has its benefits. Of course, you have the full range of motion. But the unilateral aspect is great for working on muscle imbalances and can often times help with feeling the muscle your trying to work more. If you have difficulty activating your biceps, this can be a good exercise to perform as your main movement before you start thinking of heavy exercises for progressive overload. As far as implementing this exercise goes, you have a couple of options. To start off you would really only be using this exercise for hypertrophy, you can use this as your primary biceps exercise if you struggle with feeling your biceps working. Or you can use it as a secondary exercise to a progressive overload movement. The rep ranges won’t vary much between these 2 implementations, it depends on what works for you. However, working in the 8-12 rep range/arm is typically where you would want to train this exercise. Consider using a drop set or a mechanical drop set to really drive a lot of blood into the muscle. Our third biceps exercise is the good old dumbbell curl, a basic yet very effective movement for a variety of reasons. We already know the benefits of unilateral exercises, so we know this exercise reaps the benefits of them. It can be trained somewhat heavy, especially if you do an alternating variation. If you are training heavy, be sure to have your biceps doing the work without excessive help from the shoulder, that can be prone to happen with this exercise as it is unilateral. I like the capability of performing drop sets, or mechanical drop sets with this exercise as well. This exercise can be a primary movement, however, seeing as it can’t be trained as heavy as a barbell curl, I typically like to use it as a secondary exercise. With it being unilateral you have the benefits of working on muscle imbalances, and I also find this exercise allows me to feel my biceps working more. This is if I don’t train it too heavy. Being able to perform some form of a drop set is also beneficial to get a lot of blood flow into your muscles. When I think of implementing the dumbbell curl, you can perform it as your primary exercise. However, if I perform this exercise too heavy, I tend to have my shoulder taking over and find it difficult to isolate my biceps. I will typically perform this exercise as a secondary movement, usually in the 10-15 rep range with different planes of motion to influence different parts of the bicep. Occasionally, I will use it as my finisher exercise in the form of a drop set or mechanical drop set. This is a great way to get a lot of blood into your biceps and finish them off! To sum it all up, after reading this article you have 3 biceps exercises that you can implement within your routine. Not only do you know the exercises, but you know why they are good choices, their benefits and how you can implement them within your routine! I thank you for taking the time to read this article, I wish you look in your next biceps training session! As always, if you have any questions or comments please do not hesitate to leave them below and I will be sure to reply! Hi, Kohl, what is your view on the dumbbell preacher curl? It’s my favorite dumbbell exercise and I’ve found I can really isolate my biceps without my shoulder taking over, as my triceps and elbow is pinned to the incline. I’m in love with EZ barbell curl and perform them at least once weekly with my biceps routine if not multiple times. Hi Todd, I think its a solid exercise. Usually, I like to perform them bilaterally with an EZ bar or a plate drop set. I feel when I do them with dumbbells I am more focused on keeping my arm in place and I put a lot of pressure into the pad which makes it difficult to focus on my biceps working.